Can you tell this is my favourite stamp set yet??? Right now, this colour combination is my favourite too! I seem to be making everything with Baja Breeze and Basic Gray! I was so pleased with the way this card turned out that I made it again using Pumpkin Pie and Apricot Appeal, and it looks just as good! 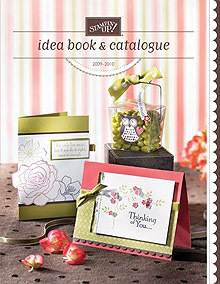 Cardstock: Baja Breeze, Basic Gray, Whisper White, Baja Breeze 12×12 textured. 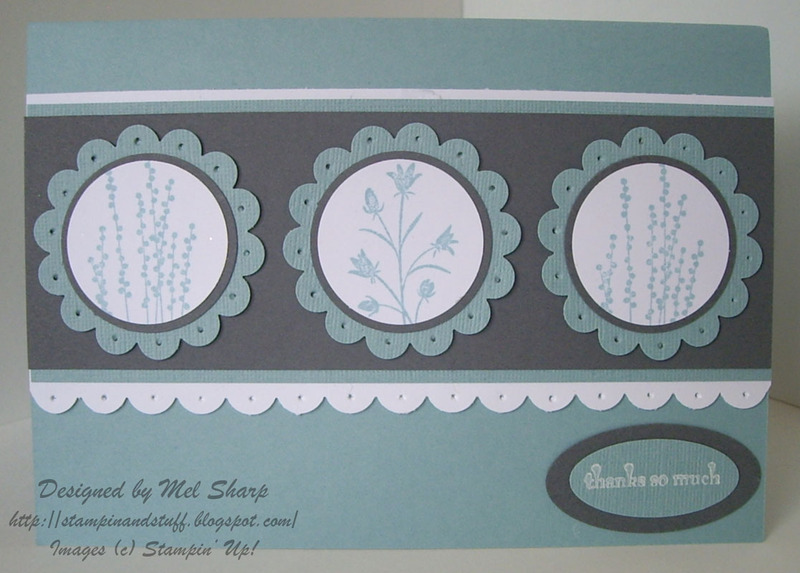 Inks: Baja Breeze Classic Stampin’ Pad, Whisper White Craft Pad. Accessories: Small Oval Punch, Large Oval Punch, 1 1/4″ Circle Punch, 1 3/8″ Circle Punch, Scallop Circle Punch, Scallop Border Punch, Crafter’s Tool Kit. This entry was posted on Friday, August 7th, 2009 at 8:04 pm and is filed under Paper Piercing, Pocket Silhouettes, SU. You can follow any responses to this entry through the RSS 2.0 feed. You can leave a response, or trackback from your own site. One Response to More Pocket Silhouettes! Hey Mel, I love this card because you could change the sentiment to be for almost any occasion. I like that alot. Well done.